Subscribe to my Youtube channel, follow me on Instagram, and Like my Facebook page to stay up to date with new videos, photos, and stories about what we (me and the dogs) are up to! 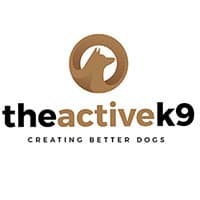 At The Active K9, we are completely transparent in every thing we do. We show how we work with dogs. We video training sessions where we're teaching, proofing, and practicing what the dogs know. We also post how-to videos for you to train your own dogs at home. If you are doing training at home, we recommend using training collars from Herm Sprenger, Kimberland Collars, and E-Collar Technologies. Quality equipment makes a huge difference. A little bit of social and play time today. This means following commands until released. This guy learned to hang out quietly at a lunch. Dogs can relax and be calm in your home.